← Cookbook of the Month: But I Could Never Go Vegan! 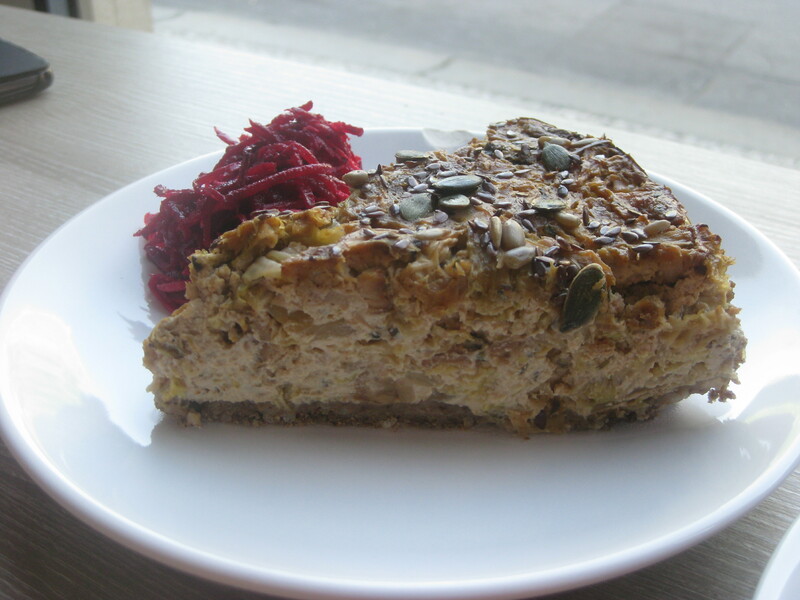 A vegan can go a long time without a slice of quiche. When you find one that looks this good, you have to grab it with both hands – although it has been pointed out to me that using a knife and fork is less uncouth in public. 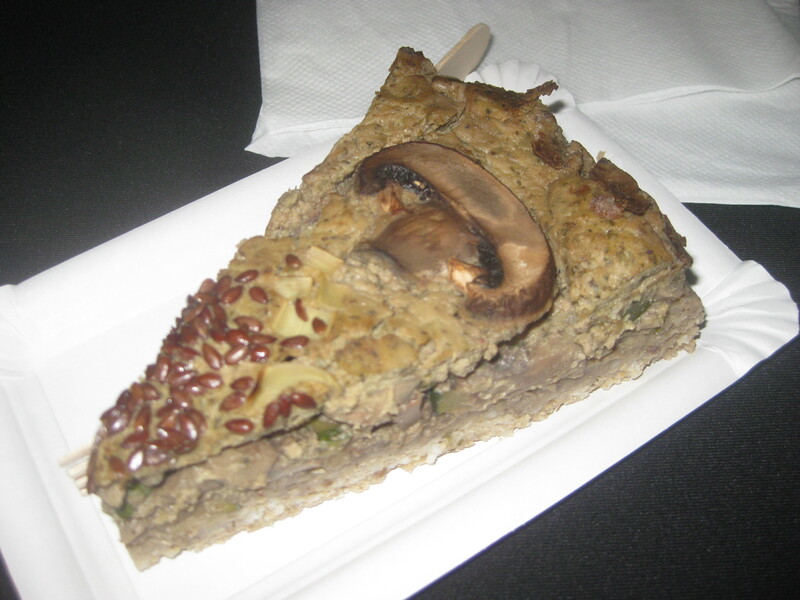 Regardless of eating technique, I believe we have found the best vegan quiche in Prague. 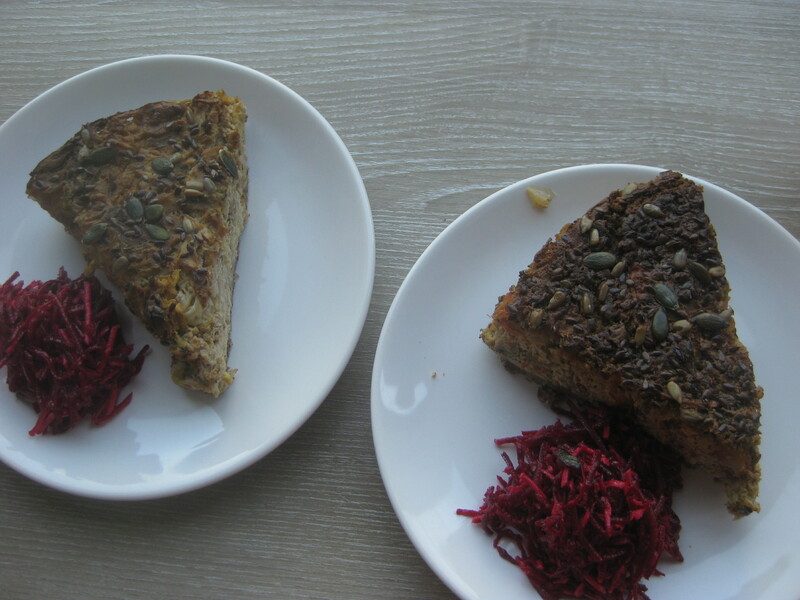 Back in December, we tried these delicious slices of quiche at the Prague vegan Christmas fair – the mushroom one was particularly incredible. Dr HH took note of the name of the caterers, and we agreed to track them down after the Christmas holiday and see if they regularly provided quiche. Five months later, we finally got round to it and paid a visit to Veggie Garden! Veggie Garden is a very popular spot for lunch – it was extremely crowded when we went in, and it seemed like there were lots of local office workers popping in on their lunch breaks. As such, the menu is only in Czech, but the staff were kind enough to give us some help (there were four different quiches, none of them labelled). There’s a daily special of soup and/or a main course (Thai red curry on the day we visited), plus some staples like falafel and burritos, but of course we only had eyes for the quiche. One was broccoli, the other was cabbage and tempeh. The latter was better, because everything is better with tempeh. In both cases the quiche is deep-dish and has a great pastry case and light filling. The side salad was 10% beetroot, 90% horseradish, so proceed with caution! Even though these slices were enormous, we still had to share some cake just for research purposes. 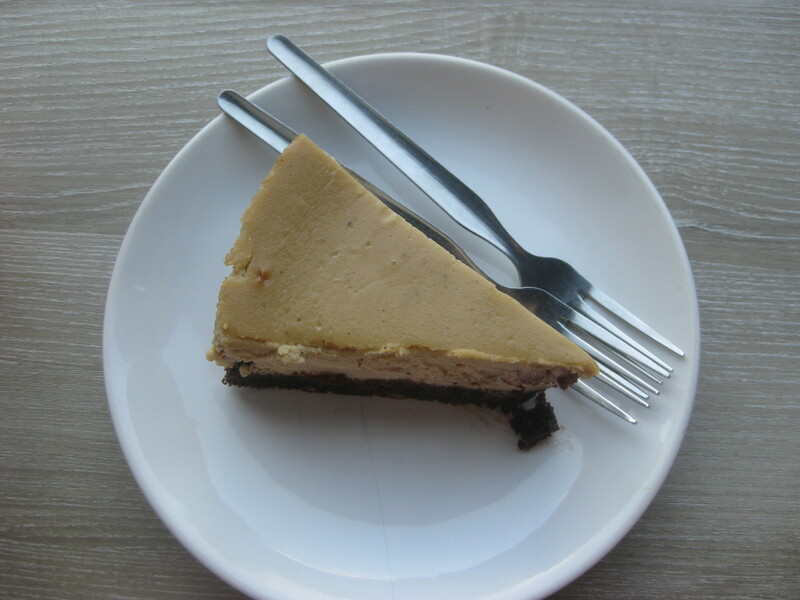 There were two identical-looking cheesecakes, one orange and one nut. The nutty one had a hint of marzipan about it, so I guess there were almonds in there somewhere. Look how thick that base is! That is my kind of base:cake ratio. The base was more cakey than biscuity, which is always a shame, but it worked well with the creamy topping. I could barely move after just half of this slice. If you’re a tourist, I’d recommend picking up some quiche (and cake, if you’re up to the challenge) and taking it away for a picnic in some scenic spot – there is no shortage of those in Prague! 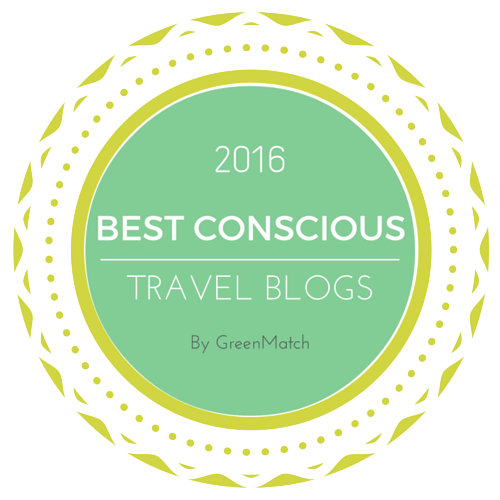 This entry was posted in Travel and tagged vegan Prague, vegan travel, Veggie Garden Prague. Bookmark the permalink. It’s amazing now for vegan options, it’s such a great place to live! The only problem if you come for a trip is trying to prioritise which restaurants to visit! Never been a big quiche person. I think my Mom ruined it for me by making seafood quiche. >: P But I remember really liking the quiche I made with the powder Follow Your Heart egg. 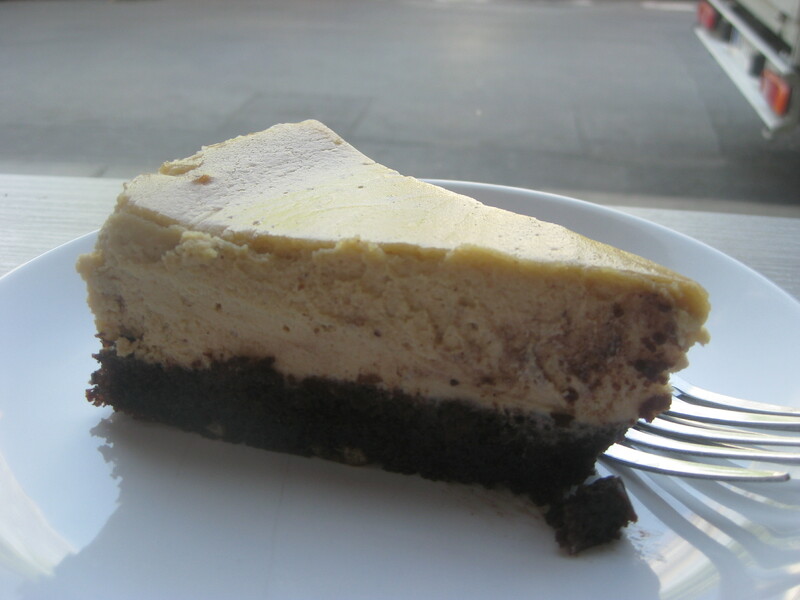 I like that thick crust cheesecake! Sometimes the creamy filling is too rich. Yes, thick crusts are the best! 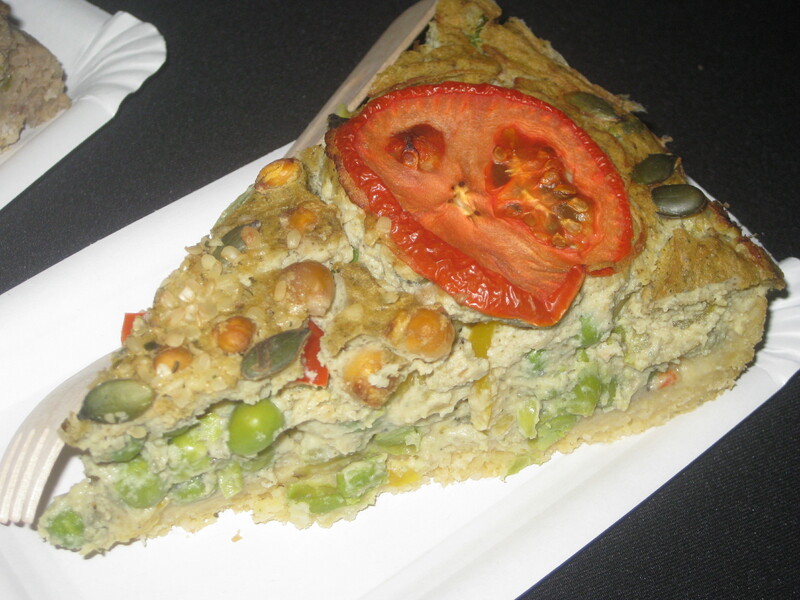 I used to love quiche before I went vegan (and I certainly never had a seafood one! ), so maybe that’s why I’m still always on the lookout for them now. Maybe this one would win you over! I had one mouthful of the salad and that was all I could handle! I’ve never even attempted to make a vegan quiche yet – maybe it’s time!